It’s time to start Christmas shopping but you’re drawing a blank. 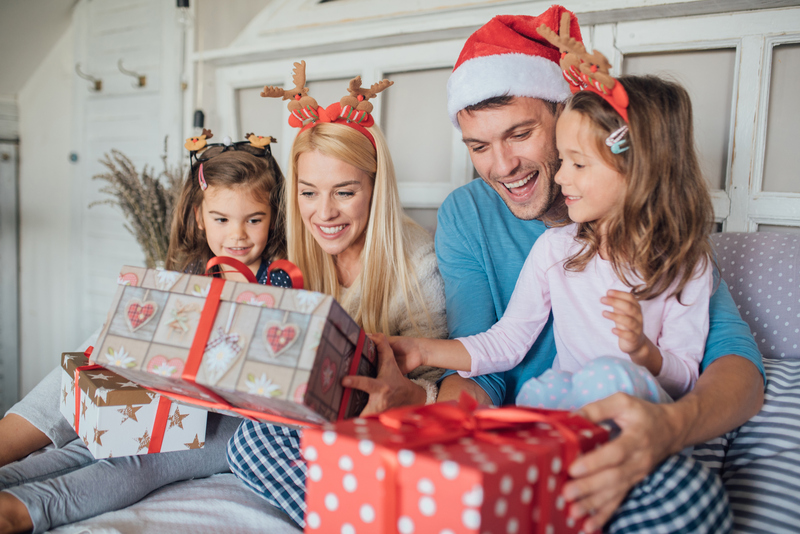 You need some family-friendly gift ideas and you need them quickly. Don’t worry, we’re here to help. We’ve prepared the ultimate shopping guide and even included a ton of family-themed purchase suggestions. Get ready to shop for the holidays, our easy Christmas gift list starts now. Having a better shopping experience will ease the stress of preparing for Christmas. While you read over our family-friendly gift ideas, don’t forget to use these in-store suggestions, too. 1. Shop during off-peak hours whenever possible. 2. Plan your trips ahead of time. 3. Bring a snack and some water. 5. Use the same gift theme for different recipients. 7. Read sales ads carefully. 8. Stick to your holiday budget. 9. Don’t forget gift receipts. 10. Never leave your purse alone in the shopping cart. First, on our list of family-friendly gift ideas, is a basket full of cinematic goodies. Fill a basket with signature snacks and candies. Then, include a few holiday favorites for your recipients to watch. If you want to enhance the experience, also gift a retro popcorn maker for them to try. Above all, nothing says fun like a family day trip. This Christmas, give out tickets to local events or theme parks. Pack a bag full of sun-screen and travel-sized items and put them together with the tickets. It’ll be a unique surprise for Christmas day. Undoubtedly, board games bring people together. If you’re looking for family-friendly gift ideas that involve sharing, board games are the way to go. Gather two or three and gift them along with a few snacks. It’ll create a night of bonding for your family or friends. Why not give a baking gift? Fill a goodie bag with the ingredients of your favorite recipe and also instructions on how to make it. This will have your recipients working together to enjoy their treats. And besides, cooking as a family is fun. Before we go, we wanted to remind you about the Achieva Cash Rewards Mastercard. Transfer your credit card balance and enjoy a special rate until January 2020. Get the peace of mind, convenience, and reliability you need by signing up today. Stay tuned for future posts on how this card can work for you. Until then, happy holiday shopping!